PREFAB MESSIAHS CREATE A MONSTER! 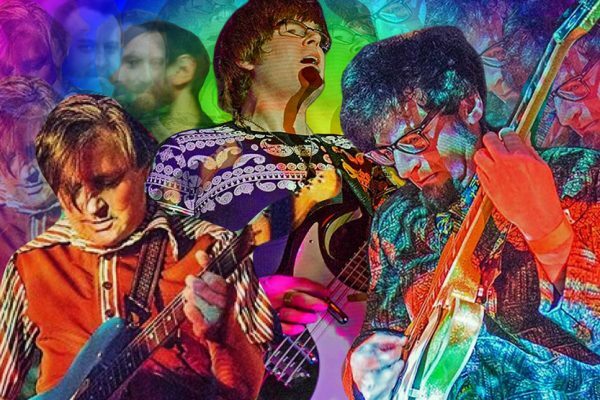 Rejuvenated Massachussetts garage-psych explorers THE PREFAB MESSIAHS have unveiled a new video for the appropriately-titled track ‘Monster Riff’ from their acclaimed comeback album Psychspolitation …Today! The band’s Senior Acting Spokesperson, Xerox Feinberg gets on the case…. Originally existing on the Boston club scene from 1981 to ’83, The Prefab Messiahs spent the following three decades as just a memory until a Burger Records reissue of a CD-R compilation prompted renewed interest. An 8-song mini-album – Keep Your Stupid Dreams Alive – in 2015 was followed earlier this year by Psychsploitation …Today!, a full-length album of all-new material. Psychsploitation …Today! is out now through Lolipop/Burger Records. You can buy it here. ‹ FAZ WALTZ UNVEIL NEW VIDEO!